For our next stop on the international tour for great sandwiches we find ourselves in Belize. 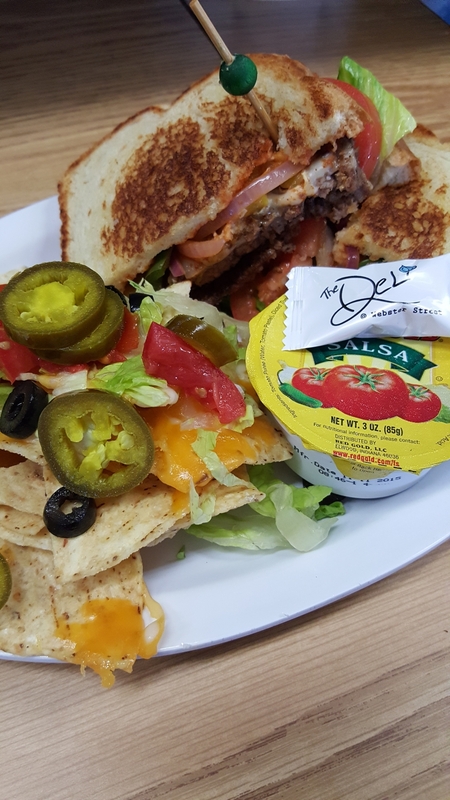 Two grilled 1/4 pound burgers topped with melted white queso cheese, a Belize style BBQ sauce, grilled onions, green and banana peppers on a bed of lettuce, tomatoes grilled sour dough and served with tortilla chips topped with melted cheese, diced tomatoes, black olives and jalapenos with a side of salsa, $9.50. Our soups for today are the Tomato Tortellini, Shorty’s Flame Thrower Chili, Lobster Bisque, Chicken Noodle, Chili, Cream of Mushroom.